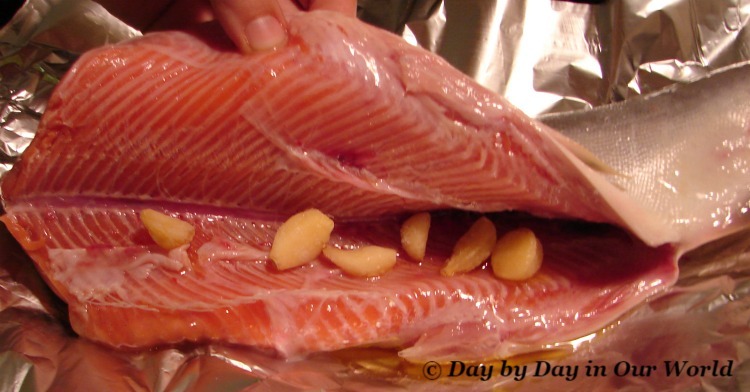 Years ago, I discovered how to make an easy baked salmon that the boys really enjoy. In honor of National Seafood week, I am sharing the recipe with you. Why Make Easy Baked Salmon? For years now, health experts have recommended having foods rich in omega-3 on a regular basis. Omega-3 is documented to provide better overall cell function (including brain function) and help with controlling inflammation. Salmon supplies that nutrient as well as iron, zinc, niacin, vitamin B6 and vitamin B12. All of these are nutrients you need for good health. The nutritional value of salmon is incredible and at a low calorie count. Up here in Alaska we can either catch our own during the runs or buy it from the stores. Let me tell you: wild-caught Alaskan salmon is awesome. Beyond having a much better flavor, wild-caught Alaskan salmon is relatively low risk in terms of contaminants. I never want to go back to farm raised salmon! When I say easy, I truly mean it. If you don’t want to dice or slice your own garlic, buy it pre-diced. Otherwise, it is all about gathering the few ingredients, wrapping the salmon in foil and baking until it flakes. While most people will bake a filet of salmon, you can use the same ingredients stuffed inside. 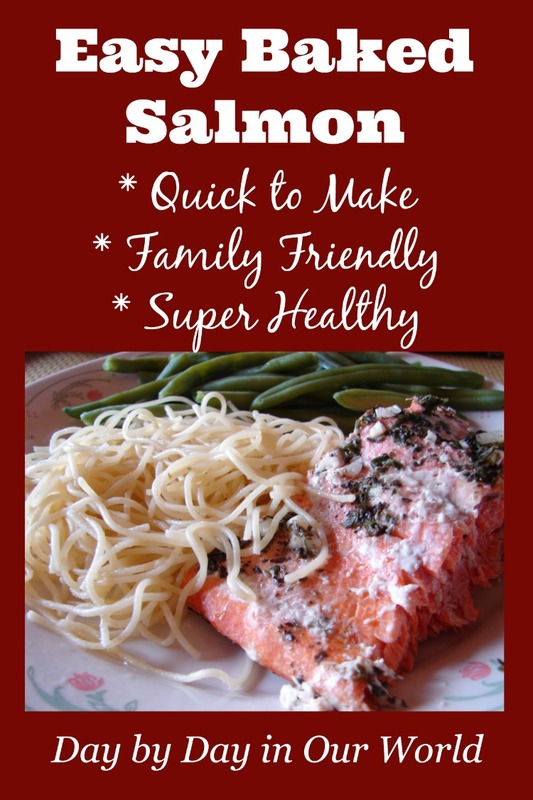 Easy to make baked salmon which is family friendly as well as super healthy. 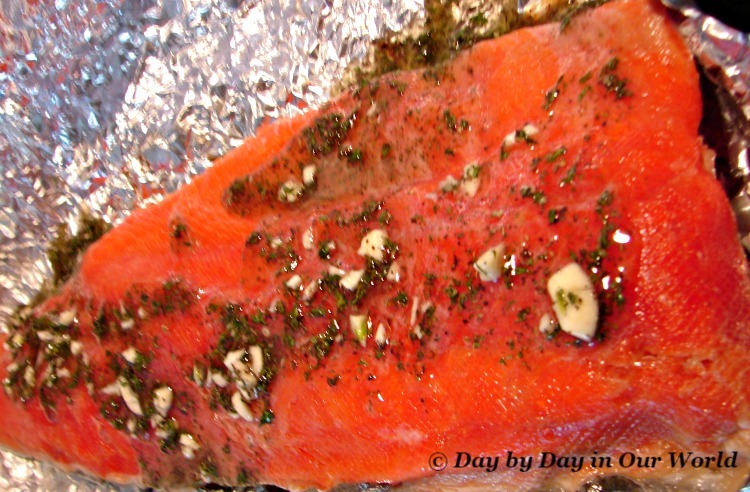 Lay your salmon on top of a large piece of foil. Pour your dressing over the fillets, spreading to coat. Pull up sides of the foil to wrap the fish. Place in the refrigerator to marinate for an hour. Bake in a 375 degree oven for 35 to 45 minutes or until the fish flakes easily with a fork. How much olive oil you use is determined on how coated you want your fish. I usually use closer to 6 Tbsp. While you will have a greater depth of flavor by letting it marinate for an hour, you can put it all together and toss it in the oven as well. What are some of your family’s favorite seafood recipes? 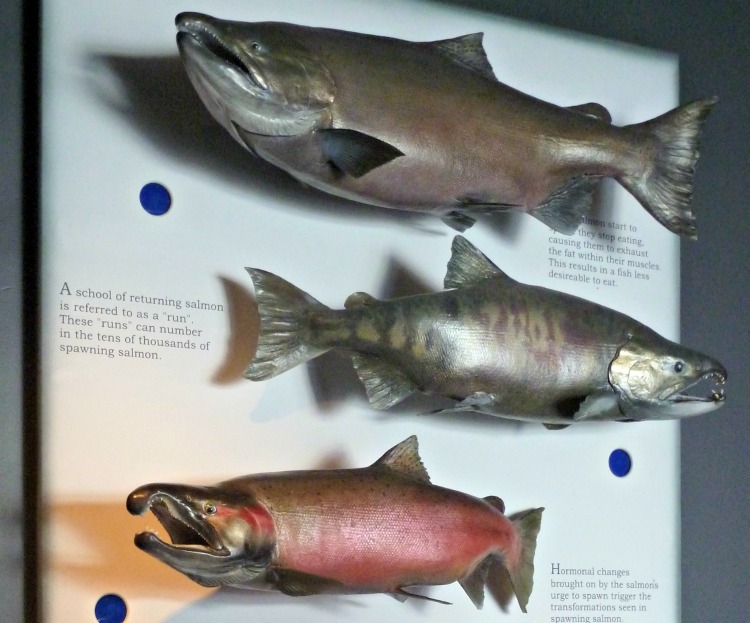 Have you ever eaten wild-caught Alaskan salmon? I really do need to eat salmon more often. I know it's super healthy and good for you. Yum! This looks really good! I will definitely have to try this sometime very soon! yum, i love salmon...I'll have to try it with the garlic next time! I splurge on wild caught Alaskan salmon a few times a year - and it is worth it. This looks like a great way to prepare it. 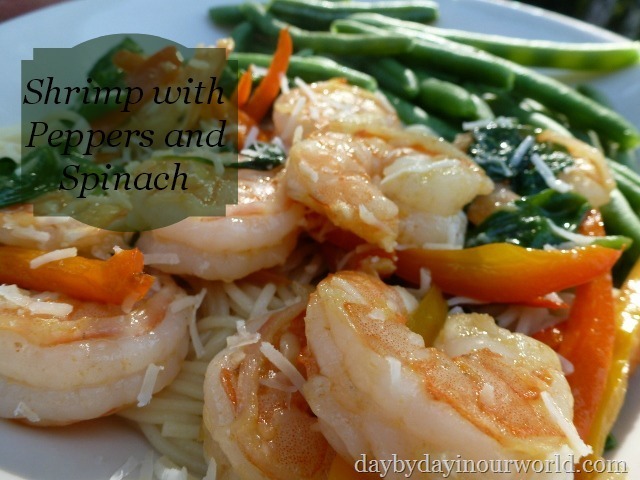 This looks super easy and yummy! I never would have thought of just putting everything inside the whole salmon and cooking it that way. Brilliant for when you catch one in the Kenai while camping and want it that night for dinner! Stuffing the fish and cooking instead of fussing to fillet it makes life SO much easier. If we catch any salmon at Russian River this July, we'll definitely cook one up for a meal. What a healthy and delicious meal. I love how easy it is to prepare. Thanks for the recipe! I recently tried Wild Planet's canned salmon and it was so good. I haven't had fresh salmon in like a decade!!! I must try this!! !